It's a new season for Borussia Dortmund and a new era under Lucien Favre as the Yellows get their DFB-Pokal campaign underway with a visit to Greuther Furth on Monday. With new additions to the squad and currently managing to keep hold of key players, 'Die Schwarzgelben' will be hoping for better achievements after a rather underwhelming campaign in this tournament last season. After sailing through the first two rounds with comprehensive victories over Mainz and Hoffenheim, their fate was sealed as they were beaten by Bayern Munich 2-1 at the Allianz Arena to end their Pokal dream for another year. The only competitive encounters to date saw Dortmund thrash Furth 3-1 and 6-1 in the 2012/13 Bundesliga season. Here's how we predict Dortmund will line up to face their Bundesliga 2 opponents. 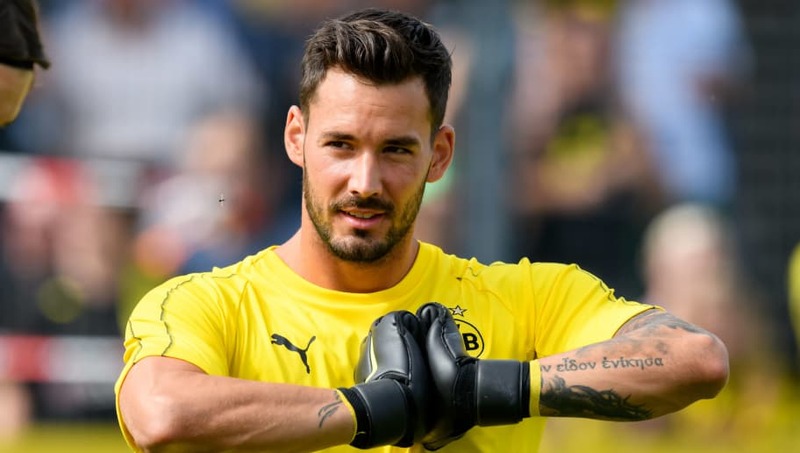 Roman Burki (GK) - Expected to start after Roman Weidenfeller announced his retirement last season, and hoping to have the same effect as he predecessor. But with Dortmund signing Marwin Hitz from Augsburg, he will have to prove his worth to cement his place. Lukasz Piszczek (RB) - A well respected right back, the veteran is expected to feature to ensure his side get off to the best possible start. Omer Toprak (CB) - Hoping for more game time this year, the Turkey international will be looking to impress in this one. Abdou Diallo (CB) - Bought from Mainz for around £26m, the France Under-21 defender is highly rated by Favre and will replace Sokratis who moved to Arsenal. Achraf Hakimi (LB) - On loan from Real Madrid, the Champions League winner could prove as a vital addition for the team this year, expected to feature. Thomas Delaney (CM) - The Danish midfielder has a very impressive World Cup and could prove to be an important piece to the Dortmund puzzle this season. One of the first names on the team sheet. Mario Gotze (CM) - No longer a first team starter for 'Die Borussen', this game could be the opportunity to try and persuade Favre otherwise. Christian Pulisic (RM) - The talented American winger has been linked with big money moves to the likes of Liverpool and Chelsea, but remains a Dortmund player and is expected to start. Marco Reus (CAM) - Beginning his seventh season at the club and well respected among the Dortmund contingent, Reus will be eager to get his team off to a flyer in this one and linked up well in this formation during the International Champions Cup. 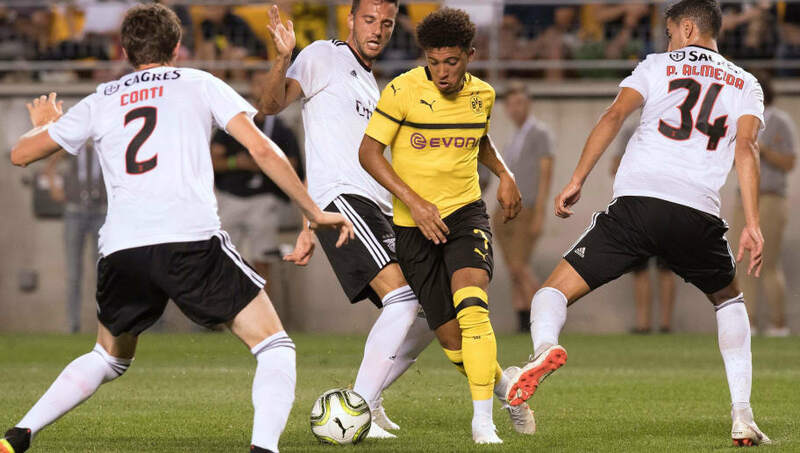 Jadon Sancho (LM) - One of the hottest prospects in Europe, the Englishman only made 12 appearances last season but he is only 18, hungry, and keen to impress. Maximilian Philipp (ST) - Naturally a midfielder but can play as a lone striker to affect, his performances during the International Champions Cup in America have made a lot of clubs sit up and take notice of the 24-year-old. He starts his second season at the club and is expected to shine.